1. Alberta Falls: (Easy) Beginning at the Glacier Gorge Trailhead, one must only walk about 0.8 miles in order to reach this 30-foot waterfall. Alberta Falls is a gorgeous area to hike up to and eat lunch while listening to the rushing water crash on the rocks below. There are many large rocks for seating areas all along the trail, and there isn&apos;t a bad view of these falls to be found. 2. Chasm Falls: (Easy) Chasm Falls is located just off Old Fall River Road. When the road is open to vehicle traffic, you can park and walk less than a tenth of a mile to witness the beauty, even catching glimpses as you drive past! If you&apos;d like to make it more of a challenge, park at Endovalley or the Alluvial fan to increase the difficulty, or hike to the falls when Fall River Road is closed! 3. Timberline Falls: (Moderate) Just past The Loch, these falls launch over a slab of shining black granite. Many people visit these falls on the journey to Sky Pond, but the waterfall should be a destination of its own. Timberline Falls is my personal favorite waterfall in the park that I have visited, with a spectacular view of The Loch and the valley below. Just over four miles past the Glacier Gorge Trailhead, you&apos;ll reach the base of the majestic Timberline Falls, which towers roughly 100-feet. 4. 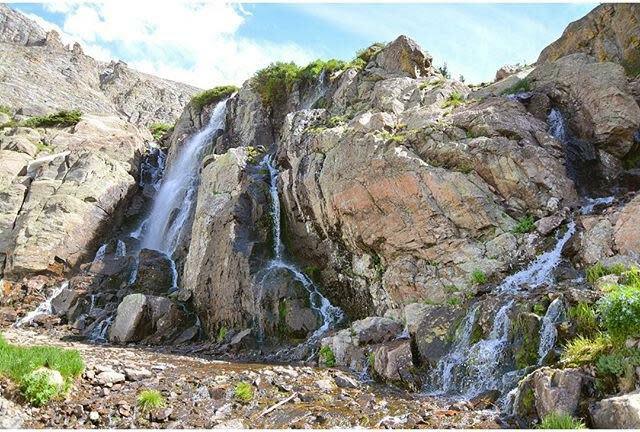 Wild Basin Trifecta: (Moderate) This hike offers three waterfalls in one! Copeland Falls, Calypso Cascade and Ouzel Falls (pictured above) are all fantastic by themselves, but even better when you can see them all in one trek! 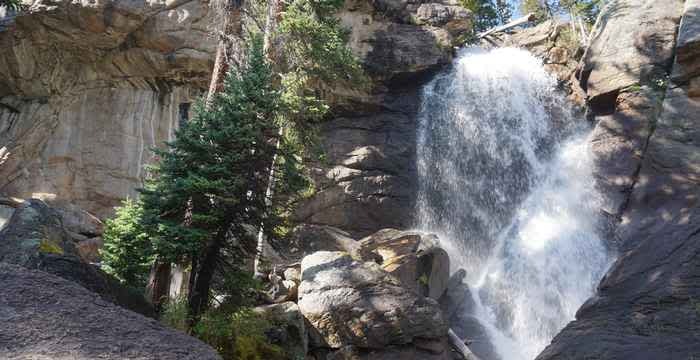 A 5.4 mile round trip will get you to Ouzel Falls, a 40-foot waterfall, after seeing the other two along the way. 5. Ribbon Falls: (Moderate/Hard) Although this is a moderate to difficult hike, it is well worth it. 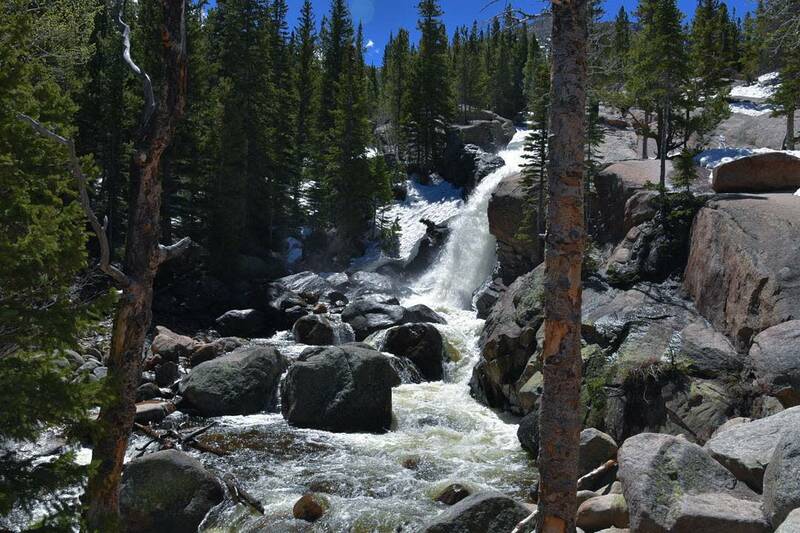 Ribbon Falls are the outlet of Black Lake, a high-altitude glacial lake sitting above the more popular Mills Lake and Jewel Lake. On the way to Ribbon Falls, there are also a few smaller trickling waterfalls that add to the beauty of this hike. Located about 4.6 miles from Glacier Gorge Trailhead these falls lie at the top of an open meadow feeding into a small river that flows along the trail. I found these falls to be one of the most serene areas in the park. 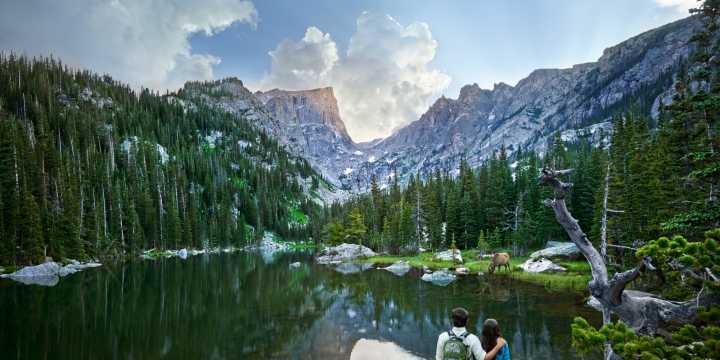 If you have a passion for discovering the splendor and natural wonders that Rocky Mountain National Park has to offer, the Rocky Mountain Conservancy offers field classes and hikes with a naturalist. 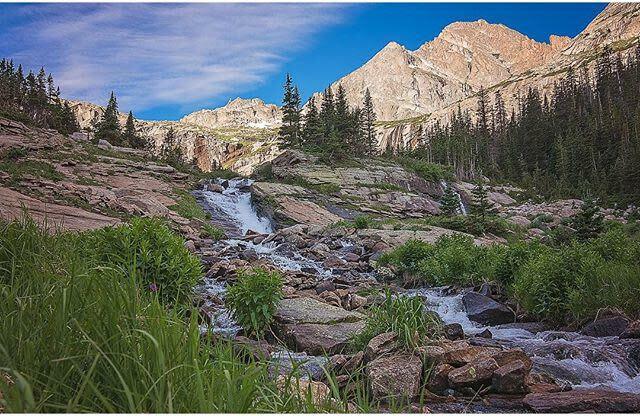 One of the best ways to experience the hidden gems of RMNP is to take a guided hike with our naturalist, Geoff Elliot. Along the hikes, Geoff will offer insights about wildlife and ecology while exploring different terrains. Upcoming hikes include: Lawn Lake on August 28th, Mount Ida on September 4th, Loomis Lake on September 11th, and Chasm Lake on September 18th. If you are interested in taking any of these classes, or interested in what else the Rocky Mountain Conservancy can offer, please contact the Field Institute at 970-586-3262, or find more information at RMConservancy.org.